When setting goals, start with your lifetime goals and work back towards your provisional goals. For example, the lifetime goal may be to win the war. The transitions goals would be to win specific battles. The foundational goals would be to win certain positions. Identify and then focus on specific, tangible targets for what you want. Maintain at least one clearly defined goal for every major interest and role in your life. After you set your Life Dimension goals, set intermediary goals that will lead you to your desired goals. 1. Set your goals so they are directly aligned with your life’s mission, purpose and passion. 2. Create goals high enough to ignite your spirit and inspire you to take action. 3. Write down all your goals in specific, measurable detail with declared target dates. Set a whole series of related daily, weekly and long-term goals, complete with starting times and completion dates. Lists task associated with achieving the goal. Review the objectives to see if they can also be individual goals. 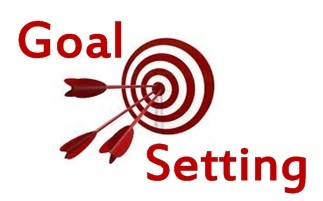 Change objectives or tasks into goals on a separate goal sheet.